So I used to feel like I had to put my hair up in a ponytail approximately an hour after having it down. I've got what I feel like are 2c/3a, fine, med density, med-high porosity (maybe?) curls nowadays. I've been CG as far as no-sulfates/silicones for I-don't-even-remember how long, YEARS but I've been getting more intense about it recently. I've gotten results that I like but I'm still having so much trouble getting this elusive 2nd and 3rd day hair I've heard so much about! Sometimes I don't even feel like I make it to the end of the day. L: KCKT; O: Glise Hair Repair Weightless Oil; C: SM Superfruit Smoothie; Color Care: PM Color lock spray since I dye my hair. DT: 1/wk I've used almost all of the different SM ones, I've recently become kind of a product junkie. I also leave my normal condish in my hair for most of my shower. 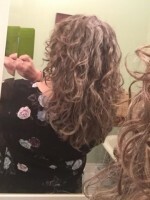 PT: 1/wk IAGirl's PT, I started with 1/2 packet of gelatin since I was really worried about over doing it since my hair has always been soft, didn't do much of anything. Dialed up to the thicker version and a full packet and left it on for about an hour and STILL didn't see any real difference. I don't know if this means my hair loves or hates protein? Probably the former hence why I'm here. 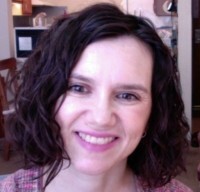 All of the above created soft, pretty, looser curls (https://photos.app.goo.gl/isqjZkssTZOR400v2) that I like but they just do not last, it's like they're too soft and fragile. Just from rubbing against my smooth, leather-ish chair at work they get frizzy! -I stopped using so many products, particularly those with a bunch of glycerin (SM Superfruit smoothie) since the humidity has been so high lately (Dallas). -I one by one stopped using the leave in products since I thought I might be overconditioning. -I started using ApHogee 2min Keratin treatment pretty much every time I shower either in place of or in addition to my normal condish. -I've switched to mixing about 2 or 3 parts condish to 1 part shampoo for my own co-wash.
-I switched to Eco Krystal since it's supposedly their highest hold gel and I don't mind scrunching the crunch (I used to be a Deva girl but it was expensive and I didn't LOVE my results enough for it to be worth it). I don't know where I'm going wrong?! Do I need even more protein? Am I just being hypercritical and need to love the curls I've got? I was sleeping with a satin bonnet at night but it was really big and since I shower at night my fine, wet curls would move around too much and get poofy plus it ALWAYS rode up the back of my head no matter how I tied it and made the hair at the nape of my neck a frazzled mess. I still use it sometimes with dry hair in a loose bun. I've recently started plopping with a Jac-O-net after I shower, blowdry a bit and then go to sleep and that helps my curls stay together while I sleep and then I spray with GIO LA hold hair spritz in the morning but still doesn't give me enough hold to carry over to 2nd day hair which is what I want. I don't want to have to completely wet my hair everyday to refresh. I've tried CHS Tweek but can't stand it on dry hair since I feel like it just sticks to my hand and pulls them apart more. Misting my hair doesn't seem to help, I have to saturate it to the point where it's no longer a mist. I feel like I've written a freaking novel here. Sorry, I just feel like I've tried all these different things, researched ingredients and nothing seems to help. I have similar hair with similar problems and haven't found a solution yet, so I'm just throwing out suggestions. Could it be the many products containing shea butter? SB tends to build up in the hair and weigh it down. Another suggestion, clarify with something else - something with sulphates but no silicones. Maybe try eliminating the oil. Fine hair (for the most part) can't tolerate oils. Maybe try fewer products - just shampoo, conditioner, gel. I agree with janiegirl that it would be helpful to do a serious clarifying shampoo with a sulfate poo. Many of us on this board do the occasional sulfate poo. All types of products build up, no matter how gentle or natural. If buildup isn't the problem, your hair may be overconditioned. When my hair is overconditioned, the curls do not hold. Sometimes this is caused by too much protein in your regimen. For some hair types, protein can act as a moisturizer, holding the moisture in your hair longer. So using too much of it can actually make the hair overconditioned. (Other hair types have the opposite problem: protein makes their hair dry and strawlike.) So another option to try would be cutting out all protein-containing products and seeing if your hair improves. It might take a couple of weeks to see a difference.